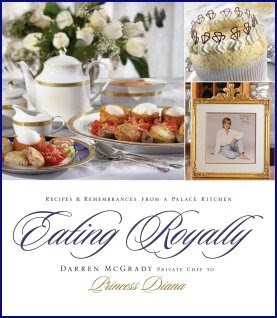 Eating Royally by Darren McGrady is a great book to add to the libraries of Anglophiles and "Royal watchers." Darren McGrady was in royal service as a chef for the Royal family for 11 years then Princess Diana's private chef at Kensington Palace until her death. He includes recipes and remembrances from Buckingham Palace, Windsor Castle, HMY Britannia, Balmoral Castle, Sandringham House and Kensington Palace. This beautiful book has over 100 delicious recipes and more than 150 beautiful photos. The cost is $25.00 including shipping and Darren McGrady will autograph and personalize the book if you purchase it here. Oh, I'm going to have tocheck this out. Thank You! 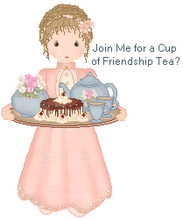 Hi Linda, this looks like a wonderful book where I could get many recipes I miss form home, so thank you. Oh my, this looks like a good one. Thanks! What a lovely book, it's given me a gift idea for my English friend from Chester, UK. Thank you --- this looks excellent! This looks so fun...we just have to see what "they" eat!